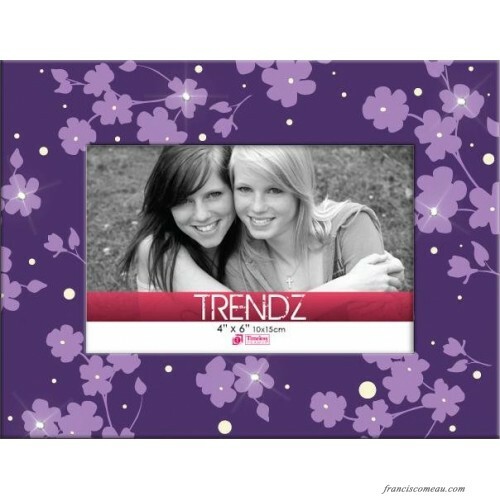 Peppy, engaging and bright is what sums up the Floral Glass Tabletop Photo Frame. 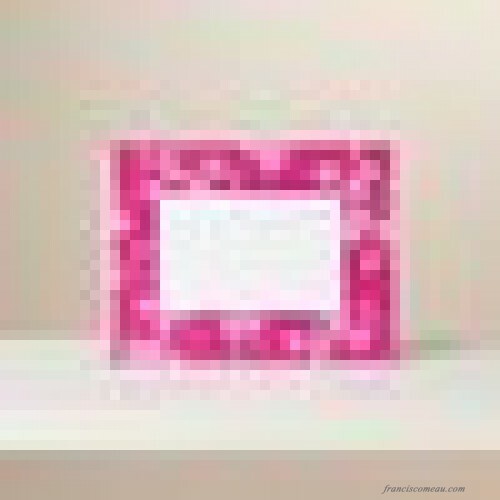 This frame is sure to light up the room and perfectly display your affection for your sister or favorite girlfriend. The exquisiteness of the color makes this frame appeal to you. The floral designed frame is available in multiple colors. Made out of glass, this frame will reflect the light and glisten on any table top that it adorns. The floral pattern is placed behind the glass, in which case not only is your photograph protected but so is the border. So the photograph and frame do not develop a hazy appearance in the course of time. The rectangular shape of the Floral Glass Tabletop Photo Frame accommodates and enhances most photographs and balances itself out well, while placed on a flat surface. The black chip easel back keeps your photograph in place within the frame and helps it from developing a rumpled appearance. With its lead-free finish, the floral frame is an eco-friendly endeavor. Clean this frame with a surface cleaner and soft cloth to maintain its pristine shine.